This IS the club that started it all—I mean really started "wine to your door." The founding feature of the Original WINE OF THE MONTH CLUB™ is the Classic Series. Each month I taste over around 300 wines. Through trade tastings, winemaker visits, in-house tasting sessions, and many other venues, I select the two wines that will be featured for that month's selections. Working in my father's wine shop in the 70's, I used to brown bag and set up the wines each Tuesday for tasting... and that is the tradition still—tasting on Tuesday. I qualify each wine for its representation of what it should be. In other words, a Cabernet Sauvignon from Sonoma County should be distinctively different from that of the same grape and vintage from Argentina. Each month you will receive two vintages of wine (full 750ml bottles). The standard shipment includes a red wine and a white wine. Or choose red wine or white wine only. You may also opt for shipments to arrive monthly, every other month or quarterly, each chosen for its quality and value. I can tell you that of the around 300 wines I taste monthly, only 15% are approved for potential club selections and then only 1% make it as selections. Because of our tenure in the industry and our good standing with wineries, we are sought out chiefly by smaller, lesser-known wineries to feature their wines. After all, you don't need me to find Robert Mondavi or Beringer wines! Each shipment is accompanied by our full color newsletter packed with information for both the novice and experienced wine taster. It includes winery and winemaker history, recipes, cellaring suggestions, serving suggestions and wine anecdotes to share. Come join me as we embark on a wonderful journey through the vineyards of California and the world, right in your own home. Many wine of the month subscription members save each month's selections for a monthly dinner with friends. Try it and you will be on your way. 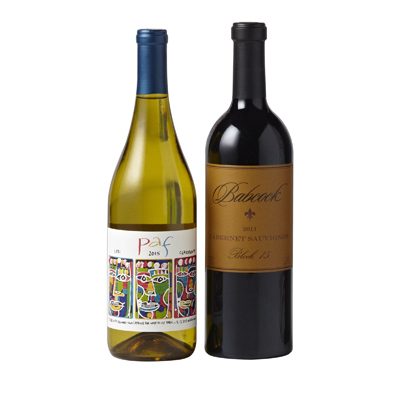 These wines represent great value and are comparable to wines you might see at your local wine shop for $12.00-$15.00. Monthly subscriptions are never more than $24.96 per month for 2 bottles, plus shipping & applicable taxes. Well....not only do I not have any complaints, I have also been very impressed by their wines and customer service. It's hard to find a company nowadays who actually keep up with their customer service and do a good job. I've even been put on the phone with Paul the owner himself. Classic red wines are the best. I love getting my red wines especially on holidays. I love getting my monthly dose of wine for such a good price. I have received two shipments so far and both of them have really impressed me with the packaging and quality! I look forward to future shipments. I don't know why I haven't written a reviww before! This club is amazing. Perfect wines, service, and prices! Best taste with best deals! Seriously, I love the deals. I saved so much compare to if I was to go buy at a regular store. Refreshing change of pace from the other handful of wine clubs I tried and didn't like because of their wine, service, or pricing. This wine club nails it all. I don'r have to go to the store and buy wines that doesn't taste good. The selected recommendations save me from looking for the best wine. Thank you. I was really skeptical about signing up for a monthly club, but my close family friends who are also members eventually won me over after I tasted enough of their monthly shipments. Wine of the Month Club guarantees their bottles but I haven't received a bottle I dislike yet! I have to admit I am pleasantly surprised. It's fun to try so many different wines. I love the variety and knowing the fact that I am sipping the best wine out there. I am old, can you tell by my title? Anyways, I have been a wino for as long as I can remember, and my son recently showed me this wine club. I had never heard of such a thing until then, but this wine club really takes the cake. Some of the greatest wines you can find for this price, I will attest to that! Great shipping too. I love my white wine! I can always count on having a great selection. Thanks! I bought the Classic package for my wife for Mothers Day. She is gets excited about the gift that comes every month. This way it's Mothers Day every month. She is not disappointed! We have been in the wine club at the classic level for a year now. We have not received a wine we did not like. I referred 4 good friends who also enjoy the wine. We drink the wine together on the patio. The specials are fantastic. Keep up the great job! Some of the best wine I've ever had! I bought the Classic Series gift set (one white one red) for my boyfriend and both of the wine selections were great! I have been a member for 8 years and have loved every bottle except one, and they replaced it! It is nice to know that once a month I will have two great bottles of wine show up at the house and be waiting for me. I have taken advantage of the reorder option several times as teh prices can't be beat. I tell all of my friends who drink wine.